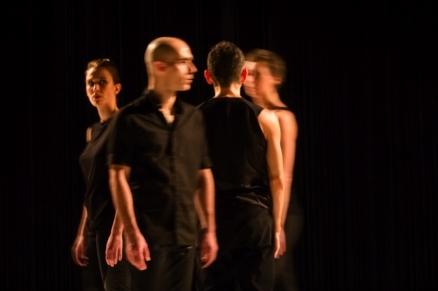 After a first collaboration in choreographing Stuttering Piece in 2003, Edmond Russo and Shlomi Tuizer create together the Affari Esteri association in 2004. In 2005, they begin the project "Tenses", of which Airports (tenses 1) is the first part. 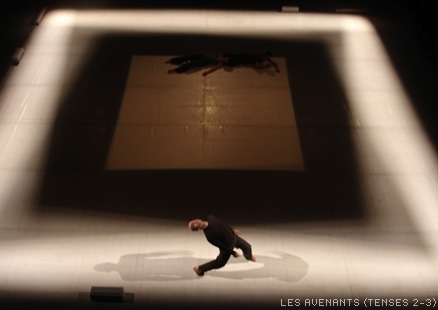 In 2006-2007, they pursue their choreographic researches with the creation of the project Les avenants (tenses 2-3). In May 2008, they are invited to the Tenerife DanzaLab in Spain, to create the works Dry Water and Materia Prima. In May 2009, they present inside #####, a choreographic piece in the form of an installation in - situ, at the Centre national de la danse in Pantin, within the festival Les Rencontres chorégraphiques internationales de Seine-Saint-Denis. 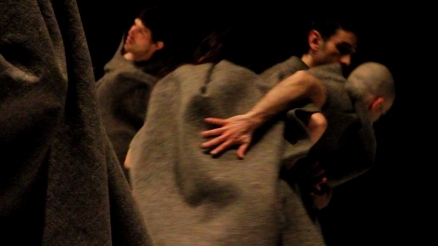 In May 2010, they pursue with the piece Lings, for 6 dancers at the Festival Meteores in Le Havre. Alongside their creations for Affari Esteri, they created for Coline dance group, Dolentem (2009) for 11 dancers and Encircling (2011) for 9 dancers. 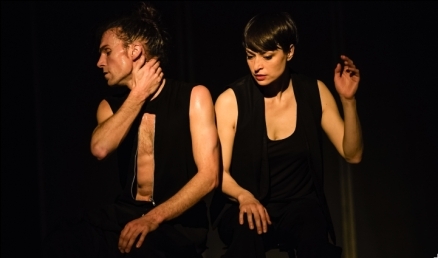 In Autumn 2010, they begin the creation of the duet embrace which the Avant-premiere was presented within Les Soirées of the CCN of Grenoble / MC2 and the Premiere in January 2012 at Micadanses within the festival Faits d'Hiver. In December 2012, they create Precious Things, for 11 dancers of the Junior Ballet of the National Superior Danse Conservatory of Paris. Later, in July 2013, they are commissioned another work, MotherTongue, by ‘Marseille-Provence 2013/ Cultural Capital of Europe’, uniting 12 dancers from several Mediterranean countries (France, Israel, Italy, Egypt, Greece, Palestine). Also in 2013, they create Kammerkonzert for 9 dancers of the Junior Ballet of the National Superior Danse Conservatory of Lyon. The project Tempéraments was created in January 2014 in Dijon during the Festival ‘Art Danse Bourgogne’. It is commissioned by The National Dance Center and the National Theater of Chaillot in Paris. In 2015, the company's new piece is intitled Guerrieri e Amorosi. It premiered in Dijon during the Festival ‘Art Danse Bourgogne’ as well as the festival Faits d’Hiver in Paris. The same year they create Raveling Hands for the 12 danseurs of Coline-professional dancer's program, on Ravel's Left hand piano concerto. Parallel to projects of creation, they offer spaces of encounter and exploration around the choreographic act and around its means of fabrication in the form of workshops, specific courses and training classes. Our identity is forged in choreographic and movement research, with an intention to widen the modes of expression related to the body in representation. Since 2004, we have carried our artistic motivations within five major choreographic projects. Within the duration of the choreographic object, its transformation and the formal and emotional process of the performer, are central motivations. 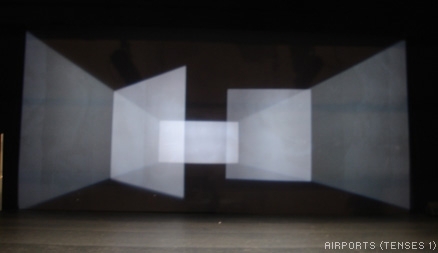 The choreographic contents alternate between spatial, dynamic, formal projections, more attached to pure movement research, and more opened, impulsive projections, attached to forms of instant and improvised materials. The musical environment with its variations of perception and the spatial modulations by the light design, allow the renewal of what one sees and participates in the identification and in the exploration of the same values carried by the choreographic act. It is a constant need to reinscribe the body and its thought in new propositions of research. An aspect of our researche would be to isolate and to identify physical functions, both posturales and behavioral. According to the chosen themes, these same notions can be dilated, and transcend the movement from its initial function. Airports (tenses 1): first configuration, frontal, proposes a panoramic vision, with a spatial and physical treatment centered on the trajectory, the ideas of border and of elevation. The choice of the airport as a reference to a space, is inspired by the vast and multiple representative identity that this place has: a common, anonymous place, of transition. Les Avenants (tenses 2-3), a quadrifrontal configuration, imposing an encircled space and a close perception; the scale of which varies according to the choreographic score and its dilation in time. Two forms, solo and duet, overlap, cross and comment one another, composing together one single work. By quitting the linear representation of uniform, continuous time, the space which is being occupied and filled becomes an unstable scene. The project inside #####, a modular forme, "in-situ". A microcosm occupied by five dancers suggesting an architectural presence and a performative act. A spatial restraint as a generator of relations, a space of communal confrontations. It is up to the spectator to create his own vision of the event; to assist it one-sidedly or to modify his angles of vision, to have a direct projection of it or then to accept the human filters as a disruptive element. Lings, a project for a scenic frontal configuration, continues to question the community space. The piece questions the space taht exists between the surfaces of bodies. The skin, the double skin, the extension of the skin as insulating and conductive vectors of energy and friction. The skin as a surface of exchange, protection, resistance and absorption. Related by a common "skin" as a surface of exchange... From game to discovery, from thrusts of energy to symbolic reversals. Seen as a musical score, acts orchestrate a network of relations. embrace creates a symbolic receptacle, which contains disparate artistic voices, transporting this choreographic work on its journey to bring relation into being… The space, reactive, exists in the contractions of bodies, in the variability of the volumes, in the drawing of circumferences, circles and spirals, it accompanies the vertiginous suspensions and supports the ephemeral collapses. a reflection on the existence of one through another. Tempéraments or the arrising of a new communual space. A "huis clos" where the performers incarnate time after time a multitude of humors, characters, and identitary traits. A unique expressive tool, the body, and their unique way out, resistance. Guerrieri e Amorosi, a duet, or two soli that correspond with each other, reverse their values, contradict and revolt. They build images on the relics of identities from other times , other places. Genders feminin and masculin, in filigree, question our perceptions. Navigating through unstable spaces, from personal to collective… from common to intimate... The eyes through which we can modulate and shift our perceptions of bodies, spaces, situations in relation to the other… We suggest possible ways that echo, that investigate and that rediscover our own vision of one’s self, facing this creative universe and with this complex and fascinating tool, that is the act of dancing.